The Department of Natural Resources has statewide responsibilities for the management and conservation of Georgia’s natural and cultural resources. Most of this work is conducted by DNR’s six operating divisions that have statutory authority over the management and protection of Georgia’s natural and cultural resources. The Divisions also provide technical assistance, education and outreach and other programming relevant to their individual missions. The Coastal Resources Division (CRD) has primary responsibility for managing Georgia's marshes, beaches, and marine fishery resources. Based in Brunswick, CRD administers permitting programs under the Coastal Marshlands Protection Act and Shore Protection Act; issues revocable licenses for use of state-owned water bottoms; monitors coastal water quality; and manages shellfish harvest areas. CRD conducts research; management and development activities associated with recreational and commercial fishery resources; represents Georgia on regional marine fishery boards and commissions; and builds boat ramps, artificial reefs, and fishing piers. CRD has primary responsibility for the Protection of Tidewater/Right of Passage Acts. For more information, click here to visit the Coastal Resources Division Web site. The Environmental Protection Division (EPD) protects Georgia's air, land, and water through the authority of state statutes and major parts of five federal environmental statutes. These laws regulate public and private facilities having to do with water quality, air quality, hazardous waste, water supply, solid waste management, surface mining and other areas. It issues and enforces all state permits in these areas. It has received the authority from the U.S. Environmental Protection Agency (EPA) to issue and enforce all permits required by federal laws. For more information, click here to visit the Environmental Protection Division Web site. The Historic Preservation Division (HPD) promotes the preservation and use of historic places for a better Georgia. Serving as Georgia's state historic preservation office, HPD administers federal and state programs including: archaeology protection and education, environmental review and compliance, grants, historic resource surveys, tax incentives, community planning and technical assistance, and the National Register of Historic Places. For more information, click here to visit the Historic Preservation Division Web site. The Law Enforcement Division is responsible for protecting Georgia's wildlife, natural and cultural resources, DNR properties, enforcing boating, litter and waste laws, teaching hunter and boater education classes and providing public safety for the citizens of Georgia. Serving Georgia since 1911. For more information, click here to visit the Law Enforcement Division Web site. The Parks, Recreation & Historic Sites Division (PRHSD) manages more than 60 properties that preserve the state's environment and history. From the Blue Ridge Mountains to the Colonial Coast, these sites offer an exceptional variety of activities, such as hiking and biking, fishing and boating, picnicking, ranger programs, historic enactments and golf for more than 11 million people each year. Currently, 63 state parks and state historic sites are open to the public, offering 374 cottages, 414 lodge rooms, 2,486+ campsites and seven golf courses. For more information, click here to visit the Parks, Recreation and Historic Sites Division Web site. 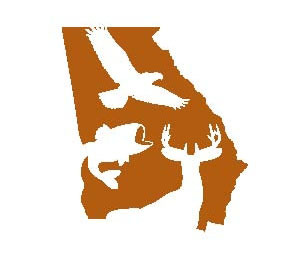 The Wildlife Resources Division (WRD) regulates hunting, fishing, and the operation of watercraft in Georgia, protects non-game and endangered wildlife, and maintains public education to ensure that Georgia's natural resources will be conserved for our present and future generations. For more information, click here to visit the Wildlife Resources Division Web site.